Local photographer and village resident Richard Bowring once aging provides some stunning imagery of the village and its surrounds. 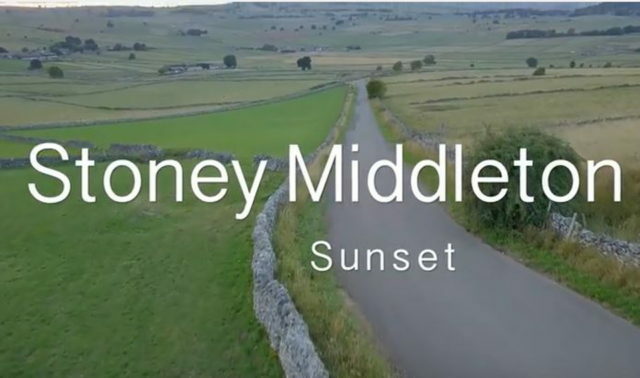 Here he takes his drone for an aerial trip around the moors to the South West of the village. the footage and accompanying music provide a peaceful insight into the amazing natural beauty of the National Park surrounding the village. The area is criss crossed with numerous walks, all accessible directly from the village. Walkers should give a thought for the treacherous journeys made by travels Back in the 17th and 18th centuries. Travellers really did take their lives into their own hands trying to navigate the perilous Derbyshire Peak which was like the Wild West. Highwaymen ruled the highways and getting lost on the moors, especially during the winter months, or getting held up by a masked horseman were an all too common a story. Maps weren’t available until 1760, and sign posts simply didn’t exist, stone markers were the only way to navigate the Derbyshire Peak, offering some guidance and reassurance for thousands of lost and lonely travellers. Although most travellers were illiterate, they would be able to figure out local place names, although deciphering local dialect would be another challenge entirely.